Filter carbon is the most widely used treatment for water problems, the most commonly used filter medium. It works for a broad range of applications, but as the chart below shows, it doesn’t do everything. The comments are generalizations. Some carbons work better for specific applications. Filter carbon can be made from a variety of raw materials, processed in a variety of ways, and delivered in a variety of formats. VOCs Yes This is what coconut shell carbon is best at. Organics Yes Best and often the only treatment. Pesticides Yes Best and often the only treatment. Herbicides Yes Best and often the only treatment. Cysts (Giardia and Cryptosporidium) No, with qualifications. However, many carbon block filters have cyst certification because they are tight enough to screen out cysts effectively. Inorganics No, except mercury. Carbon block filters, however, are often engineered to remove lead by the adding a lead removal resin to the carbon. Arsenic reduction media can also be added to carbon filters. Radionuclides No, with qualification. This is a difficult classification. According to the EPA, “Approximately 2,300 nuclides have been identified; most of them are radioactive.” The two most frequently at issue in water treatment, Radon and Uranium, are included separately in this listing. Radon Yes Aeration is usually preferred to carbon filtration because the spent carbon itself becomes hazardous waste. Hydrogen Sulfide (Rotten Egg Odor) Yes, with qualifications. Lifespan of carbon can be limited if the H2S is not pretreated with an oxidizer. Catalytic carbon is superior to standard for H2S treatment. Iron Yes, with qualification. Backwashing standard carbon filters remove pre-oxidized iron. Catalytic carbon can remove small amounts of iron without pretreatment if conditions like pH are right. pH correction No, with qualification. Almost anything done to water affects pH, but carbon is not used to raise or lower pH.Sometimes new carbon makes a radical change in the water’s pH, but this effect usually goes away with time. Calcium and Magnesium (hardness) No Only water softeners (ion exchange), reverse osmosis, and distillers actually remove hardness. Sodium No Only ion exchange, reverse osmosis, and distillers actually remove sodium. Nitrates No Only reverse osmosis, distillers, and anion exchangers affect nitrates. Fluoride No, with qualifications. Carbon sometimes removes fluoride, but it is not a reliable fluoride treatment. A specialty carbon made with animal bones (Bone Char) is used in some parts of the world to remove fluoride. Taste and Odor Yes Carbon is the unchallenged best treatment for most taste/odor problems. Carbon filtration improves the taste of most waters. Color Yes, with qualifications. Macropore carbon (the best is made of Eucalyptus and currently hard to find) is an effective treatment for tannins. Lignite based carbon is also used for tannins. Standard carbon may help. TDS (Total Dissolved Solids) No Carbon does not reduce dissolved minerals. In fact, carbon filtration may add slightly to the TDS reading. Arsenic No Only when accompanied by arsenic reduction resins. 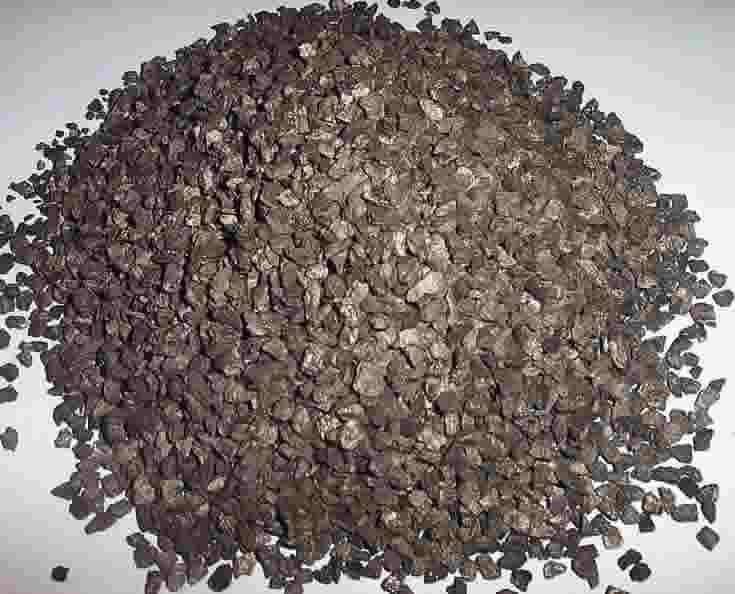 MTBE (gasoline additive) Yes Coconut shell carbon is preferred. Chloramines Yes Much longer contact time is needed for chloramine than for chlorine. Catalytic carbon is superior to standard carbon for chloramine reduction. PFAS Yes, with qualification. Carbon has been found to be effective at reducing chemicals in the PFAS classification, but many chemicals are involved so generalization is tricky. This is definitely a “more studies are needed” situation. Ammonia No In fact, when chloramine is treated with carbon, ammonia in the water is increased.